2) Review, Review, Review – Reviewing the Scriptures that you memorized weeks, months or even years ago, is SO IMPORTANT to retaining them long term. I am constantly reviewing Scriptures that I have already memorized. You don’t have to review every Scripture every day, but review all of them on a consistent basis. If you don’t review, you will most likely “lose” the verses over time. 3) Use Note Cards – These can get lost, at times, so don’t completely rely on these. Have a master list somewhere, of all the verses that you have memorized. I use memory verse note cards as bookmarks in books that I am reading. That way I review each respective verse, every time I read the book it is in. I also put the note cards places – shower door, mirror, car, front shirt pocket, night stand, etc. That way you constantly have God’s Word before you and you make it easier to memorize it and meditate upon it. 4) Use A Highlighter In Your Bible & Categorize Scriptures – Highlight the Scriptures that you are memorizing. For me, It makes it easier to memorize it and locate it in my Bible. I actually use a system where I highlight Scriptures in a specific color, depending on what category I put them in – open air preaching verses (green), “theological verses” (orange), apologetic verses (pink), prophecy verses (purple), “other” verses (blue), etc. I also write down the open air preaching verses on one of the blank pages, in the back of my Bible. I have them separated into groups – Holiness, Grace & Mercy, Hell/Judgment, Sin/Repentance, Losing Salvation, etc. 5) Use A Smart Phone App – I use an app called, Remember Me. I really like it and it has helped me in my Bible memorization, quite a bit. If you have an Android Phone, then check it out! I can’t remember if it was a free app or one that had to be paid for. Even if it is one that you have to pay for, it is worth it, in my opinion. Basically, without having to have note cards on me, I always have my Bible memory verses on me, as long as I have my phone. Remember Me has all kinds of nice features. Check it out! It’s great! 6) Typing, Listening, Speaking, Thinking – There is simply wisdom in using as many methods as possible, to solidify the Scriptures in your mind. Type out the verse/passage that you are trying to memorize. Listen to it on audio, while you are working, exercising or doing chores. Saying the Scriptures out loud, will also help you to memorize them. If you are just sitting around doing nothing, think about your memory verses. Rehearse them in your head. In doing so, you are obeying the Scriptures, in meditating upon them. 8) Preach Them! 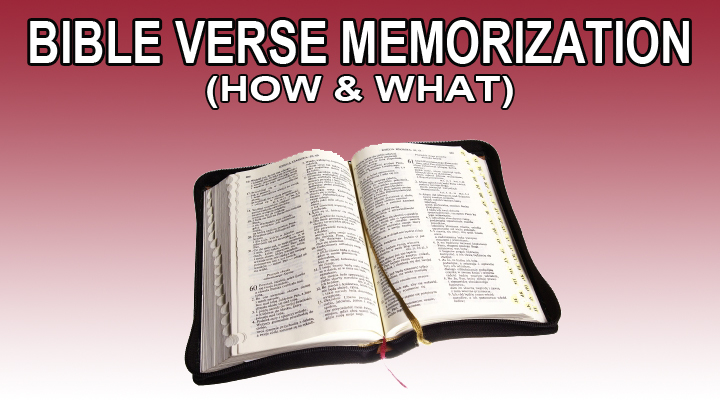 – This is another one of the main reasons to memorize Scriptures. Share the truths of God’s Word with other people – sinners and saints. As you read through the Scriptures, in your daily reading time, note new verses that you want to memorize for your evangelistic efforts. Maybe you received an objection to the faith, while you were engaging in evangelism. Find the answer in the Scriptures and memorize it. This will be very beneficial in making you an effective witness to the lost. 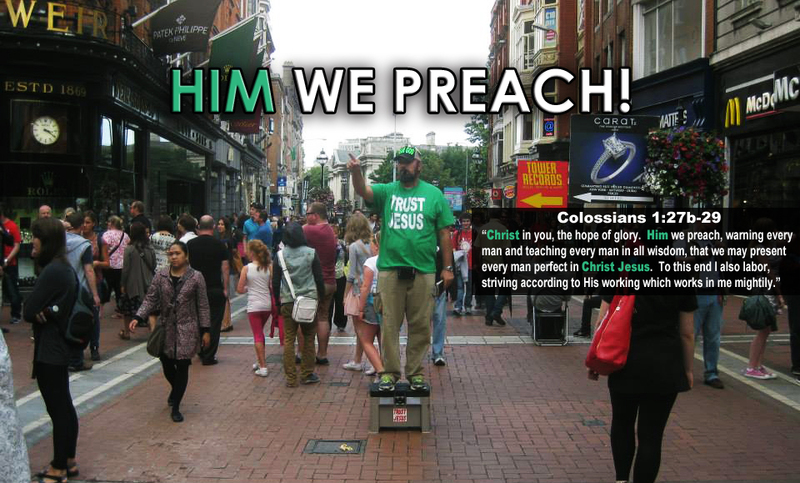 This entry was posted in evangelism, Gospel, open air preaching and tagged bible memorization, bible verse memorization, college campus preaching, evangelism, jesse morrell, John McGlone, kerrigan skelly, open air preaching, PinPoint Evangelism, street preaching by Kerrigan Skelly. Bookmark the permalink. Thanks so much for this article, brother! Ice been blessed watching your video several times before but it’s really nice to have the list of scriptures you provided as well. For Apple iOS users, the app “Bible Memory” is very useful and free. I have it on my phone and I especially like it for keeping up with review. Amen! Thanks for sharing that, Sister. I know that will be helpful to people who have Apple phones. Blessings! Hi there, would it be possible / allowed if i would copy that article to my website (with reference to yours) and then translate it? Thranks in advance for your answer. Yes, that would be no problem at all. Blessings! Please notify me with new video.